Many drivers running low on fuel | What Car? One in eight motorists drive with a near-empty petrol tank as they battle soaring fuel prices, according to new research from breakdown company Green Flag. Young drivers have been hit hardest, with nearly 25% of 18-34 year olds admitting to driving 'on vapours'. 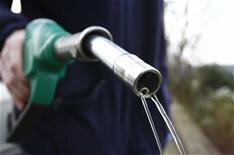 A 27% increase in fuel prices since 2008 has contributed to 1.4 million 4% of UK drivers motorists running out of fuel. Green Flag's research revealed that those most likely to be scraping the bottom of the fuel tank are drivers in the North East and Wales, with 18% of motorists running on empty. Those in the North West are least likely to run dry, with just 9% of drivers regularly dodging the forecourt.